Mills & Boons may be easy, breezy, and fun to read but should not be taken as representative of what love and romance are like in the real world. Mental Illness And Creativity: A Codependent Relationship? Many believe that there is a definitive link between creativity and mental illness. Find out how mental illness impacted popular authors and their writing. Why Jack the Ripper, one of the most notorious serial killers of all time, has inspired so much fiction and some of the books he has featured in. Written in reverential tones and with exceptional uniformity, North Korean literature functions like a weapon of mass destruction. Find out how. The biographer chooses to tell some parts of the story and omit other parts. He also chooses the way in which the story is told. These decisions can heavily impact the “facts” of the story. 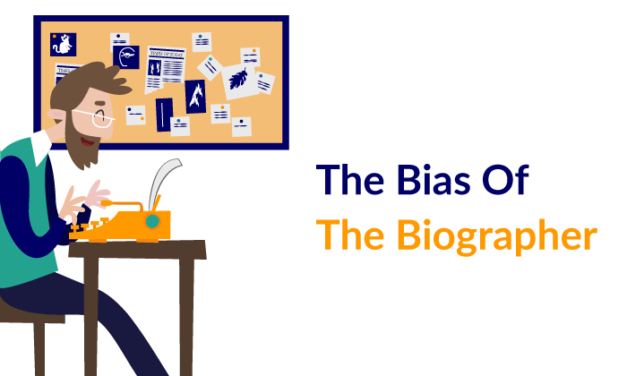 In this feature, Deepika discusses how the bias of the biographer affects the book he is writing.